OMG!! I should have had shutters installed years ago. What a wonderful addition to my living room & what a great company to buy them through. Alison was brilliant & Nigel fitted them beautifully. Now of course I want them throughout the house!! Many thanks. 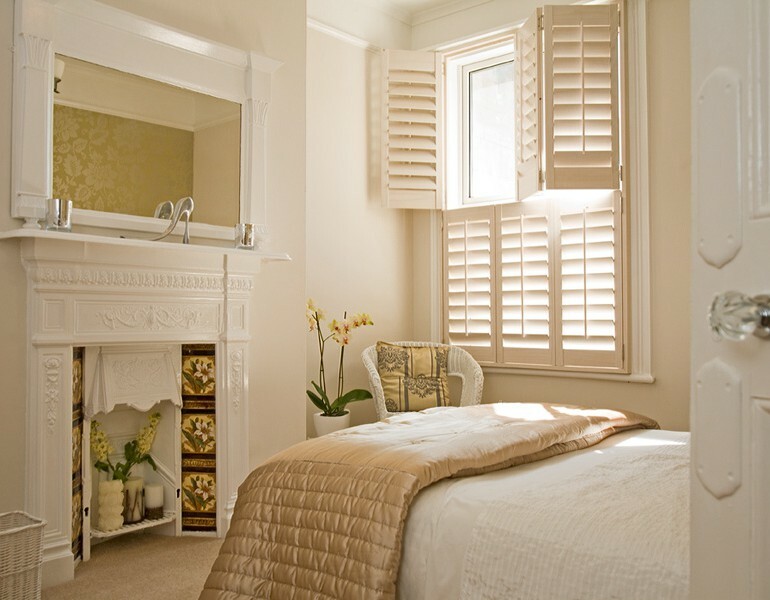 Stylish Shutters Ltd are specialists in the supply and installation of plantation shutters. Plantation shutters for windows can transform a room or entire home. 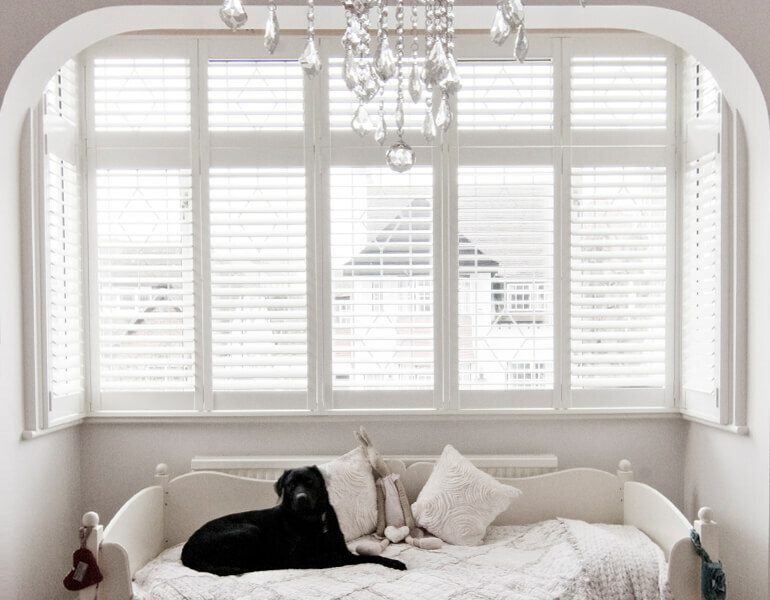 Stylish Shutters are based in Hertfordshire and also cover South Bedfordshire, Buckinghamshire and surrounding areas. Here at Stylish Shutters we have a wide range of window shutters, ranging from our Seattle shutters through to our top of the range wooden shutters. Our plantation shutters are competitively priced and we also offer you excellent service from start to finish including our expert shutters installation service. Window shutters complement both contemporary and traditional homes and are an excellent way to change the look and feel of a room. Plantation shutters are elegant and timeless, enabling you to alter your décor and colours around the shutters as time goes by. Shutters allow you to control both light and privacy with their adjustable louvers. These can be tilted to create different atmospheres, from a bright and open room to a private one and everything else inbetween. Shutters also offer insulating properties and noise reduction. Plantation Shutters are so versatile with different styles to choose from – full height shutters, café style shutters, tier-on-tier shutters, or bespoke shapes. Our window shutters are also available in a wide range of painted or stained finishes to suit the look you wish to achieve. With our wide range of window shutters you will be able to find the perfect solution to enhance your home. We specialise in plantation shutters, so have a wealth of experience in this area which we are happy to share with you. Our customers recommend us and return to us for more window shutters. Excellent and personalised design service, with no hard sell involved. 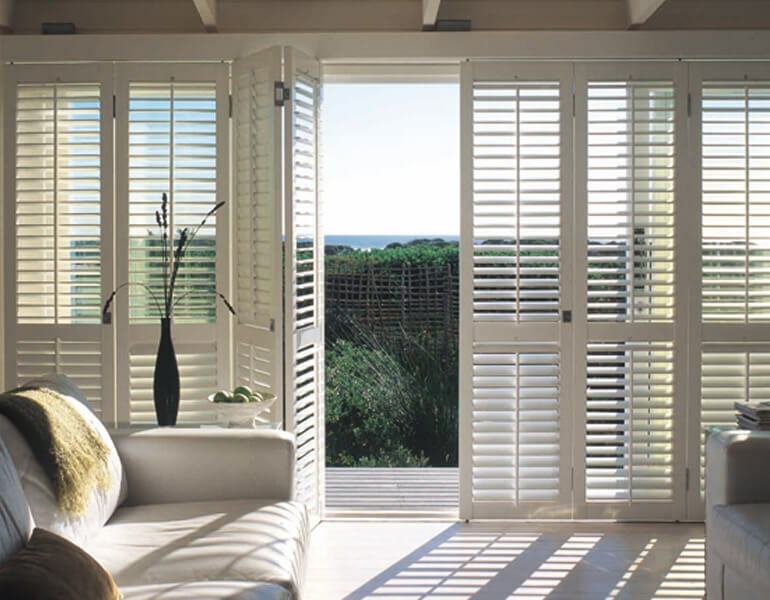 Our aim is for us to understand your needs and give you honest advice and guidance to ensure the shutters you choose are the ideal solution for your home. Our plantation shutters are competitively priced. Experienced shutters installation team. We receive very positive feedback about our installation team, they do an excellent job and leave your home clean and tidy, also removing all packaging for recycling. Personalised service throughout the buying and installation process of your plantation shutters. Pay 50% Deposit Shutters Ready In Approx. 9 Weeks!